In this Spyderco Tenacious review, we are going to see why the Tenacious makes for a great EDC knife. The Tenacious is another knife in Spyderco's Value Folders selection of knives. These knives are all named after desirable human characteristics. The entire line is the Ambitious, the Persistence, the Tenacious, and the Resilience—listed from smallest to largest. Spyderco’s goal in making this line of knives was to create a high-quality knife at a lower cost. 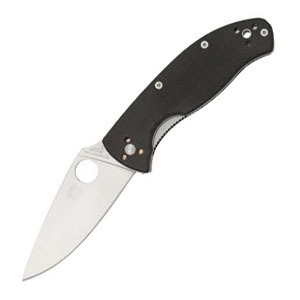 With the Value Folders knives, you get one of Spyderco’s high quality, durable pocket knives at a more budget-friendly cost. This cost cutting is created by using materials that are more economical. Founded in Golden, Colorado over four decades ago, Spyderco is well known throughout the knife industry. 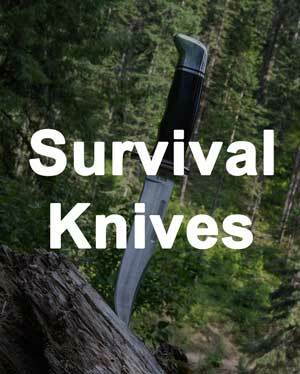 They are credited with pioneering a few key features in modern knives, including a serrated edge on a pocket knife, the pocket clip, and their opening hole design. 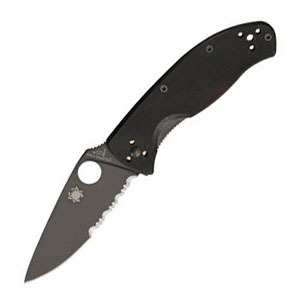 Spyderco produces hundreds of different knives, all of which are known for their quality and dependability. The Tenacious is no different. 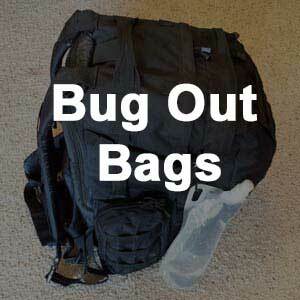 It features a quality blade, a tough, comfortable handle, and a four-position pocket clip. 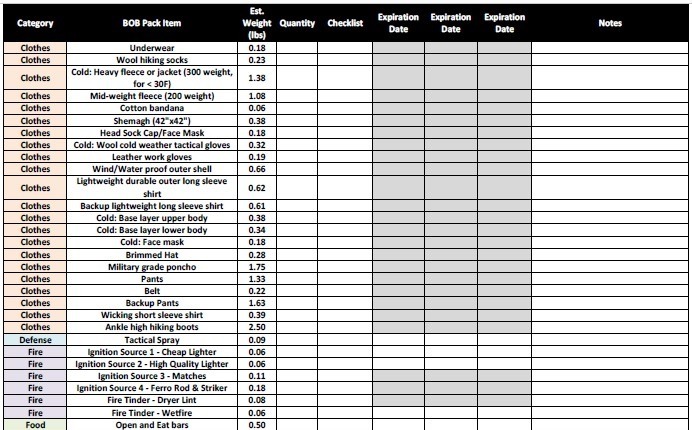 Each of these features come at an extremely affordable price. The Tenacious has a 3.39-inch blade crafted from 8Cr13MoV stainless steel. The blade is flat ground and leaf-shaped, allowing for added cutting performance. 8Cr13MoV is a decently high-quality stainless steel. It is essentially a Chinese version of a Japanese steel, AUS-8. They have similar composition and strength. AUS-8 is common in the knife industry for the manufacturing of budget-friendly knives and is known for being relatively strong. Similarly, 8Cr13MoV is relatively strong and decent quality. While it is not as high quality as other steels, for a knife at this price point, it will not get much better. If this knife cost four times what it did, we would expect a higher quality steel. However, given this economic class of knives, this is a very high-quality steel. The blade is very easy to sharpen to a fine edge that is easily maintained. While it may dull faster than more expensive steels, this is a perfectly acceptable steel for an affordable knife. The silver blade is available in a plain edge, full serrated edge, or combination edge. The black blade is available with either a plain edge or a combination edge. Opening the knife is a dream using Spyderco’s classic opening hole. The pivot point of the blade allows for an extremely smooth opening. Spyderco’s oversized opening hole is much easier to use than other opening mechanisms, making their knives a crowd favorite. The hole has quite a bit more surface area than similar opening mechanisms. This means it is easier for your finger to catch it and open the blade. Once opened, the blade locks in place by a basic linerlock. Decades ago, custom knife maker Michael Walker created the linerlock. It works by having a split liner in the handle. When the blade is opened, a spring forces part of the liner down. It wedges behind the knife. While this is not the strongest locking mechanism, the blade should not wobble. Stronger locking mechanisms come at a higher cost. 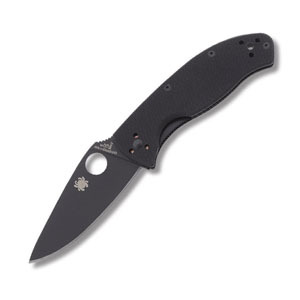 The simple locking mechanism is another example of how Spyderco reduced the cost of this knife. Overall, this locking mechanism will not be as strong as Spyderco’s Compression Lock mechanism. However, it still allows for tough cuts. One awesome feature of this knife is the handle. The handle has G-10 scales, which is uncommon for such an affordable knife. G-10 fiberglass is made by layering sheets of glass cloth and joining them under high pressure using epoxy. The resulting material is lightweight and tough. 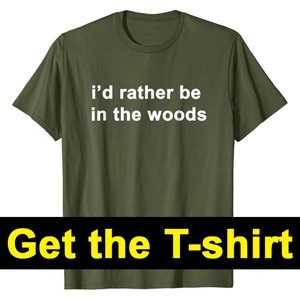 G-10 resists temperature changes. In the handle of this knife, the G-10 is formed to allow for texture. This texture creates a non-slip grip. Another safety feature of the handle is the deep indentation for your index finger. This prevents your hand from inadvertently slipping down the blade. 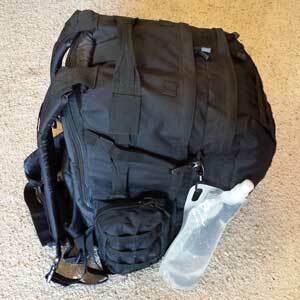 Yet another feature that allows for a firm grip is the jimping along the spine and the liner. Jimping is a series of notches in the metal, which allows for more texture and a firmer grip. Our favorite feature of this knife is the four-position pocket clip. 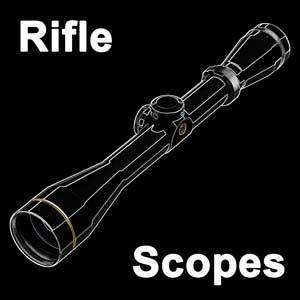 This feature allows for either tip up or tip down carry, for both left-handed and right-handed users. Furthermore, the knife has a lanyard hole to give you a fifth carry option. This allows you to carry the knife in any way possible. Speaking of carrying this knife, the size makes it an ideal everyday carry knife. The closed length of the knife is 4.45 inches. It weighs just over 4 ounces. The shape of the handle prevents it from being snagged on anything in your pocket. However, the junction between the blade and the handle has the potential to catch on your clothing depending on how you carry the knife. Overall, this knife makes for an excellent everyday carry knife at an affordable cost. 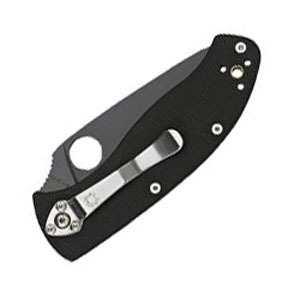 Spyderco backs all of their products with a warranty against any material or workmanship defects. You can have peace of mind with your purchase. While this knife is aimed at being a value purchase, the quality is still there. 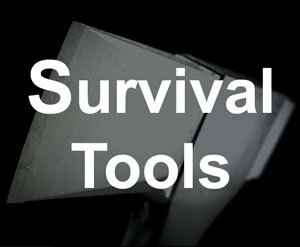 The leaf-shaped blade is available in black and silver with either a plain edge, a fully serrated edge or a combination edge. It is made from a high-quality stainless steel, especially for this economic class of knives. The blade steel and locking mechanism are adequate to allow for strong cuts. The G-10 handle allows for a firm grip to support these strong cuts. The size and four-position pocket clip make it a great everyday carry knife. While there are some improvements that could be made, the value of this knife makes it hard to complain. 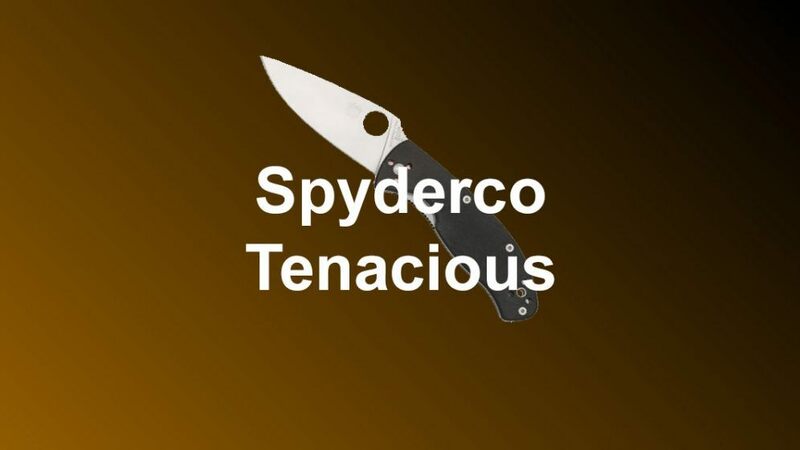 For the average knife user, the Tenacious by Spyderco is an excellent option for an everyday carry knife.